Jose Mourinho is already back in football after being hired as a pundit for beIN Sports. The sacked-Manchester United boss, 55, is set to appear on screen for the first time since his firing as an analyst at the Asian Cup. Mourinho will also serve as a pundit for Arsenal’s massive Premier League clash with his former club Chelsea. 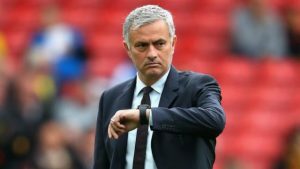 The Special One looks set to take over as Real Madrid boss in the coming months – with United demanding a £10million pay-out. But for now, Mourinho’s attention will be on his latest conquest. Jonathan Whitehead of beIN SPORTS, said: “We’re delighted to welcome Jose Mourinho to beIN SPORTS. “Having him as part of our exclusive AFC Asian Cup 2019 and English Premier League coverage in MENA will be a special moment for our network.